Electrical maintenance is something most of us never think of, but often do you have your car serviced? There’s a lot that can go wrong after all. Not just the ‘big’ things like brakes, shock absorbers or the clutch. There are all the little things; tyres, fluid levels, and filters. It’s all those little things that get neglected for a long time that end up causing the big problem! That’s why you have your car regularly serviced – preventative maintenance. Why should it be any different for your electricity? 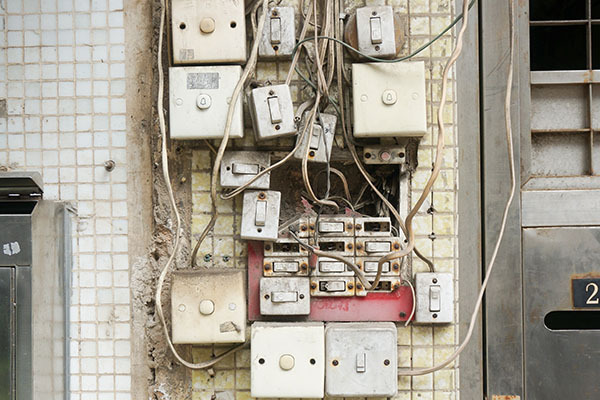 With the modern home now dependant on a safe, reliable and constant supply of electricity than ever before, why do you not have your electrical systems regularly maintained by a certified and qualified electrician? When you consider lighting, air-conditioning, TV, computers, ovens and cooktops there’s no such thing as a ‘convenient time’ for an electrical fault to occur. A cold dinner and a night without TV would be irritating, but there are other issues at stake. Many of us enjoy the benefit of having a solar system on our roofs that was installed years ago with the only time it ever gets thought about is if a larger than expected bill shows up. There’s the possibility that one or more panels have failed, or your inverter isn’t working correctly. How would you know? The same can be said for other appliances that consume large amounts of electricity. Just like your car, things degrade. They are subject to environmental conditions and ageing. As lovely as it is to ignore your electrics it’s not a good idea. At the very least electrical failures are inconvenient and annoying – but the consequences can be far worse. By undertaking regular maintenance, you can reduce the risk of them happening and by fixing the problems when they’re small, you can save a lot of time and stress. Not to mention, an unaddressed electrical fault can have a disastrous effect on your finances! Whether you’re an owner of an investment property, a property manager or run your body-corporate, we a range of plans to suit your needs and budget. If you’d like to view our standard property plan and its inclusions click here. To see our residential homeowner services including maintenance, click here. Alternatively, if you have specific needs or concerns, please call us directly. Remember, scheduled electrical maintenance not only provides you peace-of-mind, but it can save you much money in the long run!